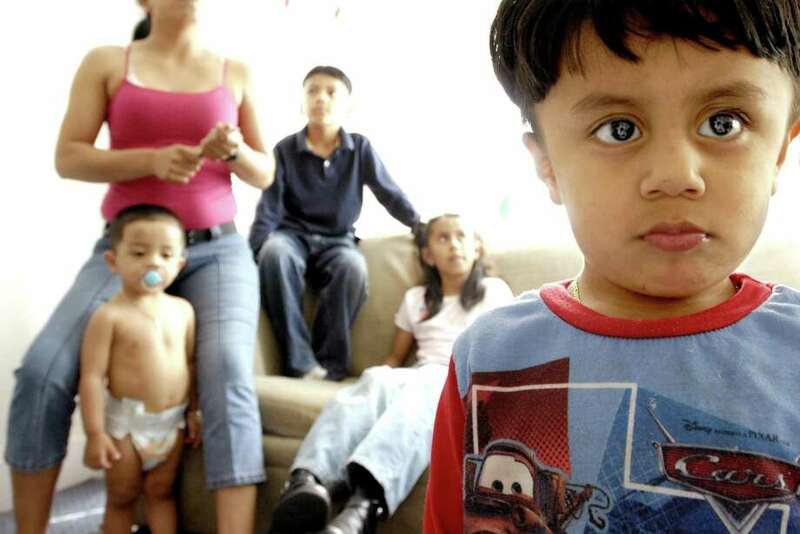 In a file photo, children of undocumented immigrants from Mexico are shown in their New Haven home. 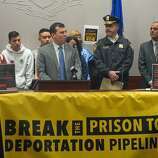 The American Civil Liberties Union on Wednesday issued a report indicating that police in several Connecticut towns have cooperated with immigration officials; monitoring the location of undocumented individuals. HARTFORD — Police in Fairfield, Westport, Stratford, Trumbull and Norwalk have been assisting U.S. Immigration and Customs Enforcement in providing the locations of residents in a nationwide mass-surveillance program, according to the American Civil Liberties Union. A report released Wednesday by the ACLU’s Northern California office charges that in all, eight Connecticut law-enforcement agencies, including Southern Connecticut State University, and police in Enfield and Wethersfield have been providing the information in possible violation of the state’s 2013 TRUST law. In all, 80 law enforcement entities across the country have given ICE assistance, including location information through a wide-ranging license-plate database tracking daily movements of potential ICE targets, the ACLU said. Norwalk Mayor Harry Rilling and Norwalk Police Chief Thomas Kulhawik, in a joint statement Wednesday night, denied that there is an agreement with ICE. Wethersfield Police Chief James Cetran, president of the Connecticut Police Chiefs Association, said Wednesday that he had been unaware that the license-plate contractor has been sharing information with ICE, and planned to find out more on Thursday. Rep. Steve Stafstrom, D-Bridgeport, co-chairman of the legislative Judiciary Committee, said the report is disturbing, but he stressed that pending bills would close several loopholes in the current law. One proposal would require local government to report to the state data regarding individuals to whom local law enforcement has provided ICE access. The report was released Wednesday afternoon. Police departments in Fairfield, Westport, Stratford and Trumbull did not immediately respond to requests for comment. Reaction from immigrant advocates was strong, coming in the wake of a report from the Connecticut Immigrant Rights Alliance that linked judicial marshals to possibly improper contact with ICE personnel. Another pending piece of legislation would limit misdemeanor sentences to 364 days, so a case would not trigger the interest of immigration officials. The cooperation of SCSU police apparently counters the State University System protocol of 2017, Gonzalez said. The documents were obtained after the ACLU of Northern California filed a Freedom of Information Act lawsuit in May of last year. The reports indicates that 9,000 ICE agents have access to a license plate-reader database run by a company called Vigilant Solutions.